This upcoming Thursday, 9/11 from 5:30pm-8:30pm, The Tang Teaching Museum and Art Gallery will be holding its Welcome Back Celebration to welcome both new and returning community members and celebrate the start of their fall season with the liberal arts triptych of music, art, and food. Highbrow Culture + Free Food? I’m there. The evening is set to begin with a welcome from the Tang’s Dayton Director, Ian Berry, followed by tours of the museum’s six exhibits given by Berry and other staff members. 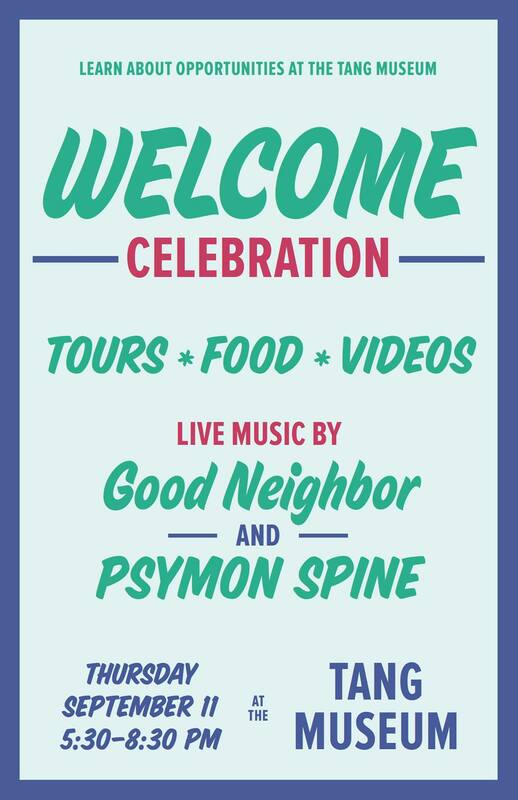 Naturally, it wouldn’t be a Skidmore event without come great live music from student bands, so both Good Neighbor and PSYMON SPINE will be playing sets in the Payne Presentation Room. It’s worth noting that both bands are sounding particularly fantastic so far this semester, so they’ll definitely make an excellent addition to the evening’s festivities. It’s pretty easy to take the Tang for granted, but it’s actually an incredible (and well-acclaimed) resource regardless of your proximity to the realm of art. Stop by with your pals at some point between the hours of 5:30 and 8:30 and see all the great stuff they’re offering the community this year.